Pete Whittaker talks about learning to climb in the Scottish winter—something for which suffering through offwidth climbs prepared him well. Pete Whittaker leading the first pitch of Dark Angel, a new route he, Matt Helliker and Nick Bullock established this season. Photo: Matt Helliker. Pete Whittaker, along with his partner in crime Tom Randall, is an offwidth wizard. 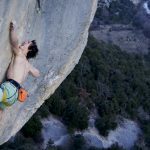 The two British climbers took the American crack climbing establishment by storm when they made the first ascent of the infamously miserable roof-crack open-project Century Crack (5.14b). 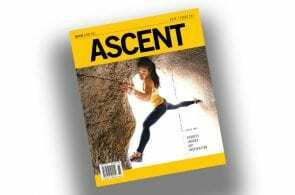 The past couple of years they’ve been doing battle with other monster cracks in the desert Southwest, gunning for the first ascent of their “Crucifix Project,” which—if they succeed—could end up as the world’s first 5.15 crack climb. But the Wide Boyz do more than offwidths—they excel at finger cracks and sport climbing alike. 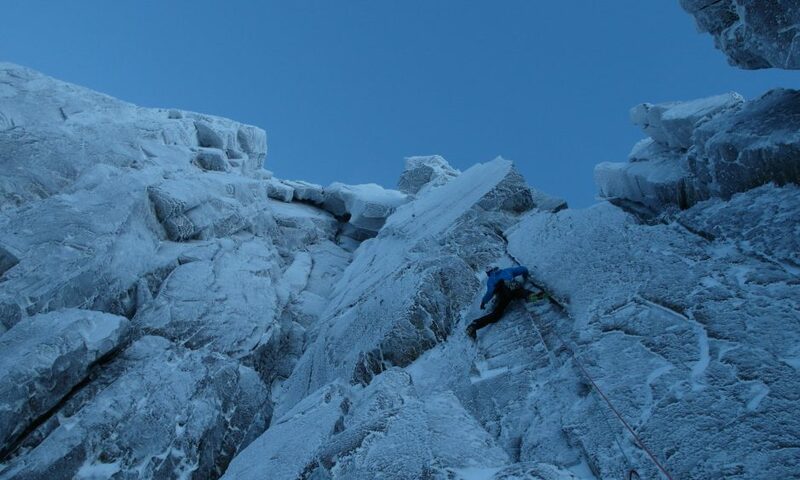 This winter Pete Whittaker decided to expand his repertoire even further, venturing into the realm of Scottish winter climbing for the first time. 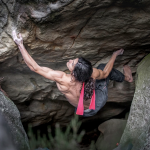 Rock and Ice caught up with Whittaker to find out what one of the world’s most notorious wide-crack climbers thinks of this whole winter climbing thing. So why winter and why now? Basically, until the beginning of this year, I’d never worn a pair of crampons or held an axe. I’d literally never done anything. 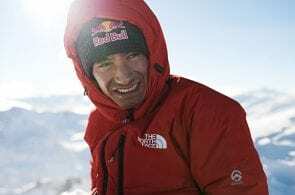 But then Matt Helliker—a British alpinist who lives out in Chamonix; I know him because we’re both Patagonia ambassadors—I was talking to him and he asked if I wanted to do some Scottish winter climbing. I’d never done any before, and I’m just always up for trying new thngs I guess. Since he asked me, I just thought it was a good opportunity to go and try and learn something with someone who is really experienced in that kind of thing. I’d always been a bit wary of trying it by myself as I literally didn’t have a bloody clue what I was doing. The general ice climbing bit seemed pretty straightforward—though I will admit, literally the very first step that I took on ice I ripped my trousers with my crampons,. Literally the first step. But then after that I haven’t made silly mistakes like that. For me it was just learning not to necessarily move so much like a climber that was difficult. Ice climbing is a bit more square on and methodical. Scottish mixed climbing, where you’re using your tools on iced up rock and stuff, that for me was definitely more interesting and technical. You’re jamming your axes in weird ways and torquing them in strange ways. There’s a lot to learn with that. There’s been a good few times where I thought, ‘I’m just going to drop these axes and just rock climb and just jam in these icy cracks.’ So literally at times I’ve just let the axes dangle on the leashes, even when I’ve been on lead, and then just hand or fist jammed up these cracks. Church Door Angels (VIII 9) on Church Door Buttress in Glen Coe— that was your third-ever winter route and it’s quite difficult. So you’re really getting after it, eh? I only followed that route. Followed Matt. Since I was just going out with Matt I was letting him make the decisions. It was the second ascent, so reasonably tricky. But it was good for me because I was just seconding. There was no pressure on leading. It was good to be able to try something in that difficulty straight away. I’ve done a bunch of leading now though. Offwidthing requires a certain tolerance for pain, misery and suffering. Do you think your extensive offwidth experience prepared you well for winter climbing? Yea, kind of… I guess for both of those things you’ve got to have a certain amount of tolerance for suffering. You can’t just go, ‘I’m a little bit cold, let’s just go down.’ Same with offwidth—you can’t just say ‘My foot hurts, let’s go down.’ You’ve got to just go for it. But it’s all good fun, isn’t it? You dragged Randall in as well for some of this, right? Managed to drag around the lout! We did a bit of low angled ice climbing and stuff. 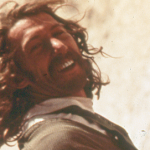 Tom had also never done any sort of Scottish winter climbing, never worn crampons or used axes. I’d probably done about 10 days of winter climbing with Matt when I went out with Tom. We all three went out together…. We ended up making a short funny film. 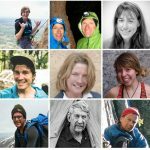 As basically a newbie ice and winter climber, what advice would you give someone else looking to start up? One of the most useful things was actually just trying learn about the environment and figuring out how to actually stay warm. Especially in Scotland where its really bloody windy. The windchill can just make things a bit horrible. I think that’s the the thing which I would say is important to learn about because the climbing is kind of easy. You pick a route for your ability and you get on with it. Whereas getting around the mountain, staying warm and safe—that’s the same for everyone no matter how hard you climb. Do you think you’ll be doing more cold weather climbing in the future? Yea, definitely. I was always keen to try this style out, just never felt confident enough and never had someone to do it with, but thought it would be useful in my kind of climbing in general. It lets you go to other places and I think it opens up other door to different areas you can go visit and stuff. Does that mean we might be seeing you heading to the Greater Ranges and big peaks one day? Yea, yea, I’d definitely be keen to explore some different places. Scotland is a good little training ground, there’s lots of technical climbing there. 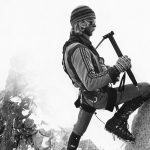 I could definitely see myself using these techniques in some sort of bigger, wintery, more alpine-style of climbing.